Christmas may be truly over but we still would like to share with you one of our latest features. It was on Card and gift network, run by wonderful Charlotte Biggs and the feature was for special relations Christmas greeting cards, many of which were handmade, just like what we do. If you are an artist or a small business in the card and gift trade, it is worth considering joining Charlotte’s mailing list as she collates information for regular blog posts. The could be a great PR opportunity for you and the chance to get exposure to a new audience, absolutely free. We were delighted how our Christmas range Twinkle sold this year both at the lovely shops we supply throughout UK and in mainland Europe and also with private customers, just like you. 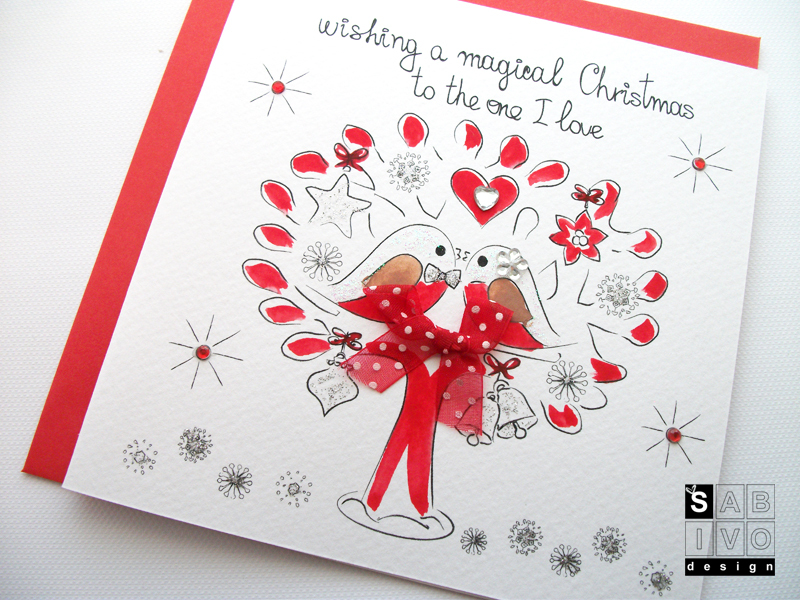 We wrote personalised cards, sent love letters, rushed super quick next day deliveries and on Christmas day SABIVO Design cards were opened across UK as well as in USA, Canada, Portugal, Bulgaria, Sweden and Denmark. It is such a wonderful feeling to hear that you have found us on social media or simply by web search and love what we do. Many of you sent lovely testimonials, which we are most obliged to receive and are left at either the Etsy store, our Facebook page or Twitter. If you, the reader of this post, have received one of our cards and have a precious minute to share, please let us know how receiving one of our cards made you feel. Whoever knows me is aware that I love PR and I am glad to hear that journalists love chatters like me. Above all, they like what I do, i.e. designing beautiful greeting cards, which any designer with tell you that is one the biggest thrills in the Universe. 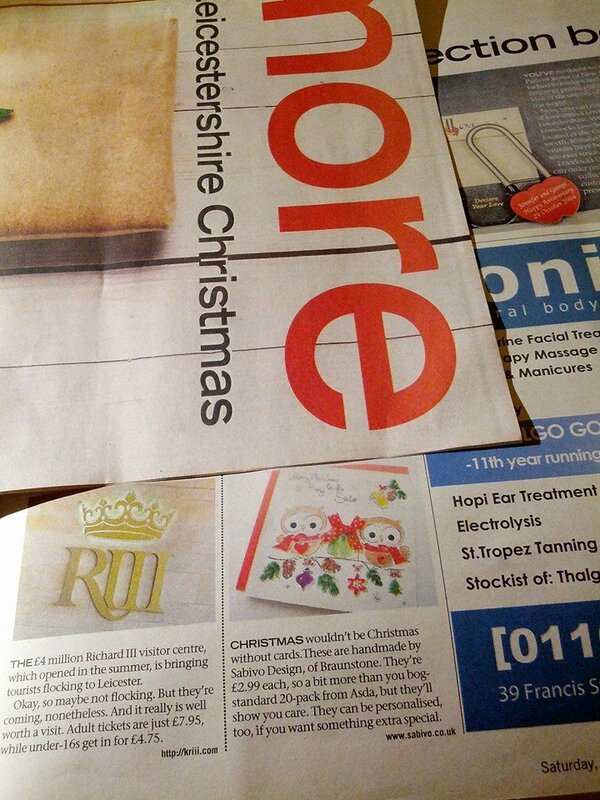 I was chuffed to bits to get a request for product placement from an editor at More Magazine, the weekly supplement of Leicester Mercury, which is the biggest newspaper in Leicester. 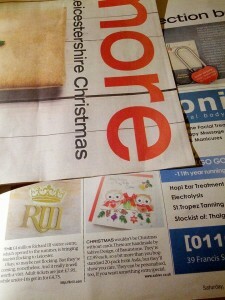 The editor was collating products to feature in the Christmas Gift Guide and they all had to be made in Leicester. 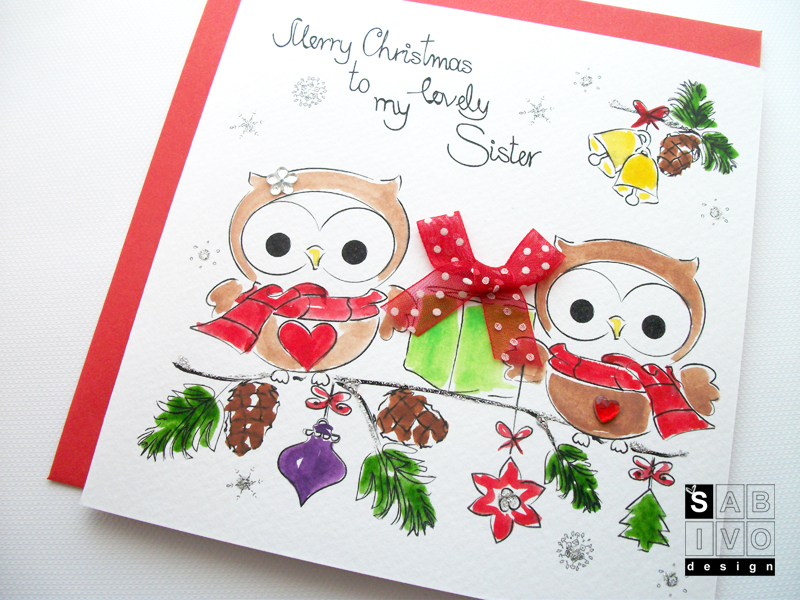 She choose this lovely owl handmade greeting card from us. It is fare to say that it is one of our best sellers. Here is the feature in the magazine that was out at the weekend. Since then we have been sending lots of Christmas cards and if you like what we do, there is still time to get your special cards before Christmas. Just go to www.sabivo.co.uk and have a good browse around.